For this installment of Mostra Fit, we’ve partnered up with Rush Cycle Camino Del Sur! 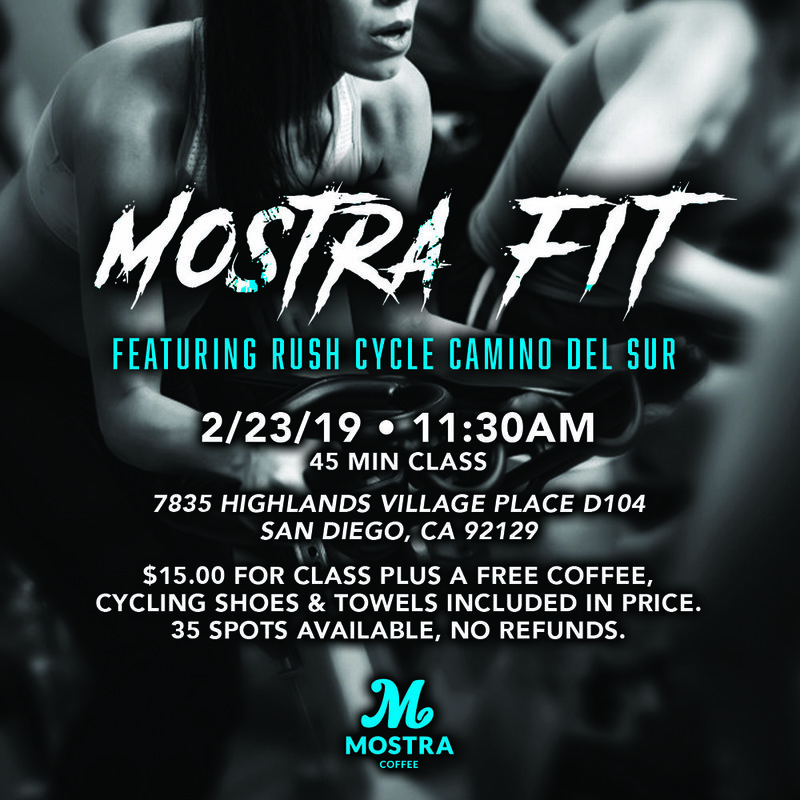 Come get your fit on with Mostra Coffee on Saturday, February 23rd at 11:30am for a 45-minute spin class! You’ll get a free coffee with your class fee, and cycling shoes and towels are included in the price. Only 35 spots are available so sign up today! !